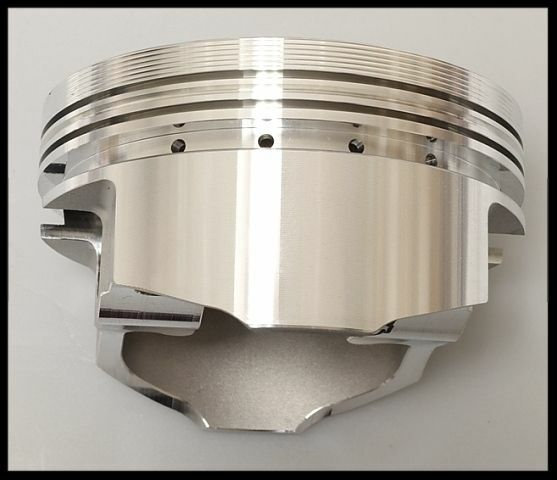 WISECO FORGED PISTONS & RINGS 4.310 BORE SIZE FOR BBC 496 ENGINES, +30cc DOME TOP FOR USE WITH 6.385 BUSHED OR PRESS FIT RODS, H-BEAM OR I-BEAM. .060 OVER/4.310 BORE. 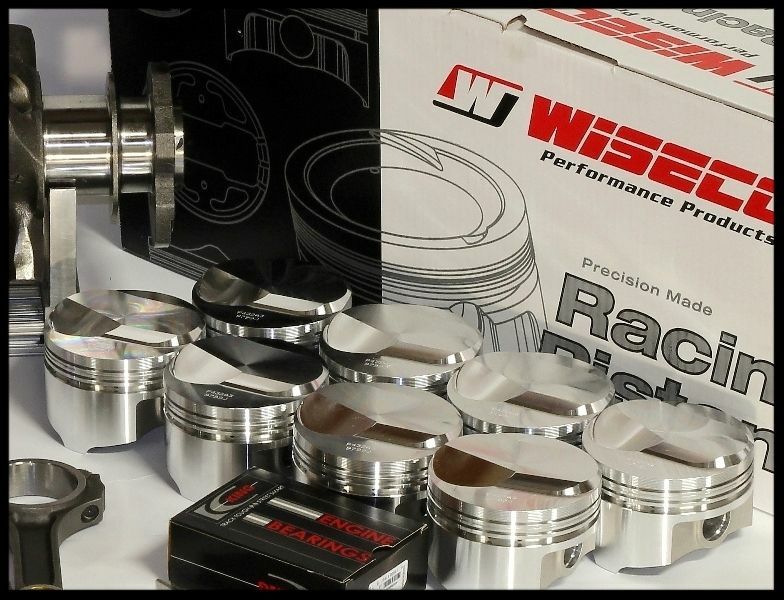 The Wiseco pistons are rated very high in the street/strip performance industry. They normally offer three levels of pistons, starting with the Pro-Tru Street version made with 4032 forged alloy. The next level up would be the Pro-Tru series that are much more expensive and made from 2618 aircraft alloy. 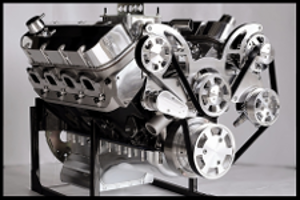 The highest level pistons they offer are their professional line made for high level racing. Those are normally in the $750-$1100 price range. The calculations below assume your pistons are at zero deck. Let's say your compression calculates out to be 10.50 for example based on having the pistons at zero deck (flush with the deck), but your pistons were going to be .005 in the hole, then the comp. ratio would only drop to 10.40, and if left .010 in the hole, then it would drop to approx. 10.30 We do recommend having your block decked to allow the piston to set anywhere from flush (zero) to .005 in the hole for optimal performance. We used a 4.560 head gasket diameter, and a .040 head gasket thickness in our calculations to come up with our comp. ratio values. WISECO FULLY FORGED PISTONS RATED AT 700+ HP. THIS SALE IS FOR A FULL SET OF PISTONS AND RINGS. WISECO PISTONS ARE 100% MANUFACTURED IN THE USA. THEY ARE ONE OF THE HIGHEST RATED PISTONS IN THE COUNTRY. These pistons are for use with full floating bushed rods, or press fit. RING GROOVE SIZE, 5/64 5/64 3/16 RINGS INCLUDED. SEE FULL PISTON SPECS ABOVE. 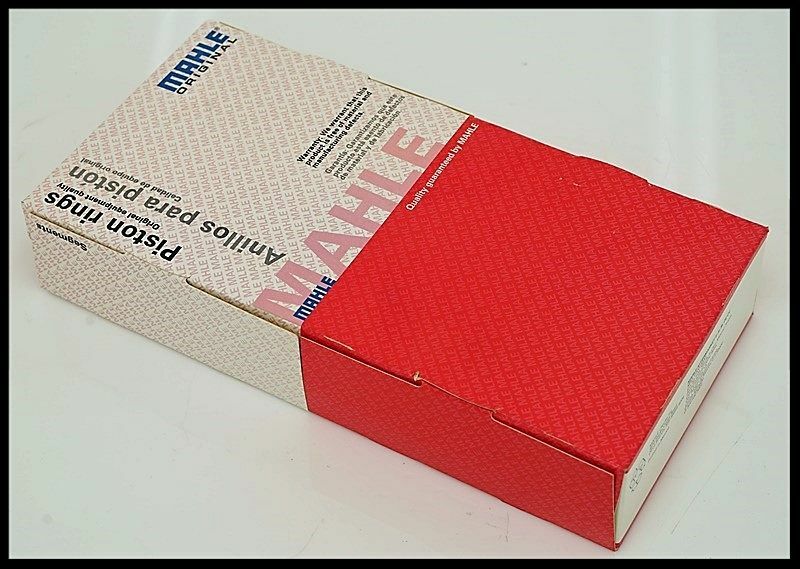 MAHLE MOLY RING SET INCLUDED. MOST OTHER VENDORS DO NOT INCLUDE THE RINGS. THIS IS UNDOUBTEDLY THE BEST RING SET MADE FOR THESE PISTONS. DROP-IN, NO FILING REQUIRED. These rings do not require file fitment. They are ready to use, but you should always check the gap by placing the rings in the cylinder bore before use. Mahle ring sets feature standard ring end gaps (drop-in) for easy installation. 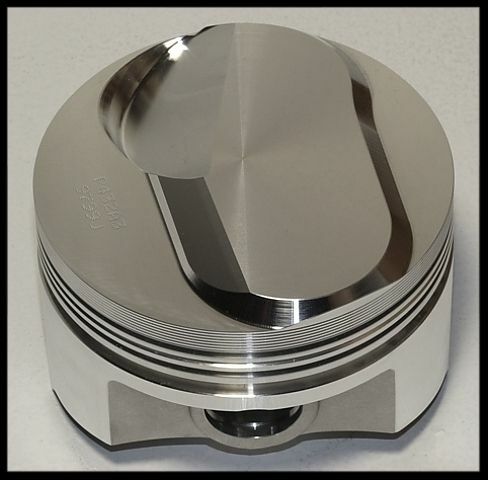 We offer these pistons in flat or dome style, and most bore sizes. See our other listings.